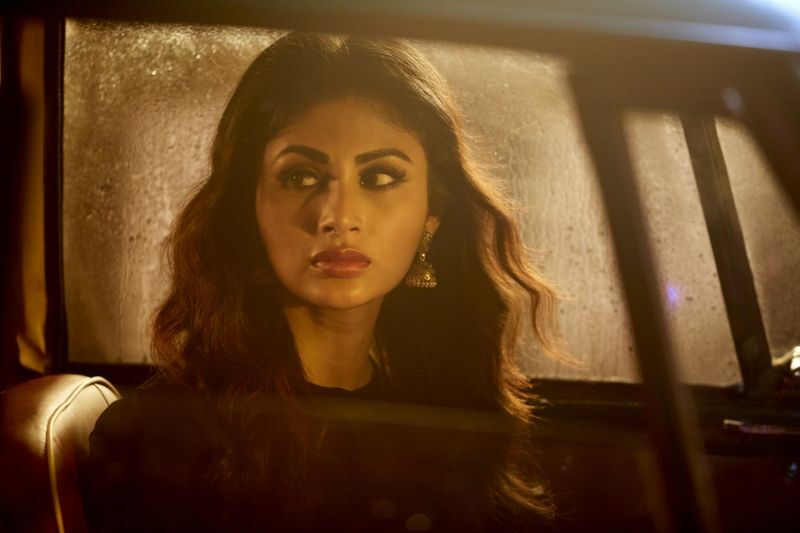 Mouni Roy’s philosophy on life is right out of Marie Kondo’s playbook. Borrowing on the Japanese organising consultant and author’s tidying adventures, Roy is on a decluttering spree these days. Her flourishing film career is what is keeping her happy. In a sea of privilege-laden star kids sitting pretty on their cushy Bollywood thrones, Roy comes in as the outsider — an anomaly by many standards — who is blazing a trail with her repertoire of film projects. ‘Brahmastra’ with Ranbir Kapoor and Alia Bhatt, ‘Made In China’ with Rakjummar Rao and ‘Bole Chudiyan’ with Nawazuddin Siddique are all in the pipeline for the 33-year-old star. Somewhere between slithering on telly as a shape-shifting snake in ‘Naagin’ to finding her calling in films with last year’s ‘Gold’, Roy is right where she wants to be in her career. These days, though, she’s caught up in the marketing blitzkrieg surrounding ‘Romeo Akbar Walter’ or ‘RAW’, which pairs her opposite John Abraham. Reportedly inspired by the life of an Indian spy, ‘RAW’ is an espionage thriller set in the prelude to the India-Pakistan war of 1971. The period film sees Abraham play the titular characters, working as a Raw agent (India’s spy agency) who is sent undercover in Pakistan on a mission, leaving his family and lady love behind. Amidst the subterfuge and warfare, one wonders how a female lead balances her screen time in this testosterone-charged film. “It’s not about the balance. The story is written properly, researched well, which is relevant to the plot and purposeful,” she responds. “Yes, a female can bring more colour, more life or heart to a story. But in this film, the hero is the story and not conducive to any gender. It’s the story of a man who sacrifices everything, including his name, family, love and life to serve his country. This is also Roy’s first time working with Abraham, who she refers to as a ‘beautiful human being’. “I never met him before signing up for this project and somehow, I always envisioned him as an angry young man,” she laughs, alluding to the characters Abraham has largely played on celluloid, with films such as ‘Parmanu’, ‘Satyameva Jayate’, ‘Force 2’ and ‘Dishoom’. “Obviously, we are not the characters we play on-screen but that’s how I had always imagined him. Roy’s growing celebrity status is largely thanks to her huge fan-following from her television days that saw her play a multitude of characters, with the most popular being her role as a Hindu deity on the popular Life OK! soap, ‘Devon Ke Dev... Mahadev’, followed by Roy’s breakout role in mentor Ekta Kapoor’s supernatural series ‘Naagin’, where she played a shape-shifting snake. Such was the show’s cult following that Roy was soon signed on for a second season of the show. What insight do we get from a shape-shifting snake’s character, pray tell? 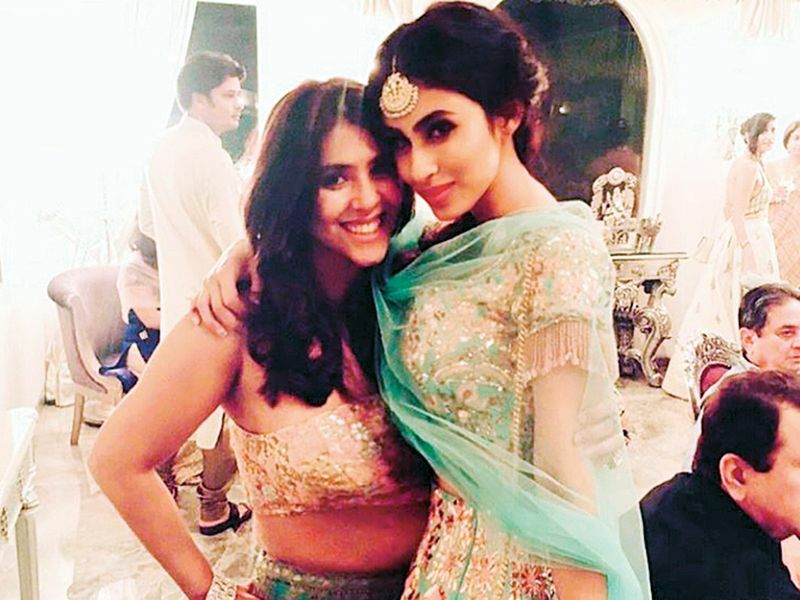 Roy, who got her break in TV thanks to the Czarina of small-screen Kapoor, who signed her on for her path-breaking soap ‘Kyunki Saas Bhi Kabhi Bahu Thi’ in 2007, still relies on her mentor for support and advice. “I message her all the time. When I am happy I will message her something; when I am sad, I am constantly messaging her. When I left TV and started my first film ‘Gold’, she was just missed so much. I realised Balaji Telefilms [Kapoor’s production house] and TV was home to me. It has given me everything. Roy is also open to returning to television someday. As someone with zero Bollywood connections to boost her film career, Roy doesn’t mince words on being on the other side of the looking glass. “I am an outsider. If you know the truth then why would you feel bad about it? My priorities are very set in life. We are all born to some privileges. The fact that some of us can talk in English and have an education is also a privilege. A lot of people come to this industry without knowing the language. Despite having talent, there will be other things that will be weighing them down. We are all more privileged than somebody. It is fine, I accept it,” she states. According to reports, Roy is playing a negative character in the upcoming fantasy film ‘Brahamstra’. Roy remains tight-lipped about her role. “I can only reveal this much: I am playing the antagonist. That is all I am allowed to say. Ayan [Mukherji, director] will kill me,” she replies. One of the most anticipated films of the year is the upcoming biopic based on the life of music mogul Gulshan Kumar, who will be played by Aamir Khan. Kumar was killed in a shootout involving the Mumbai underworld back in 1997. Roy, who was reported to have a pivotal role in the film, has denied she’s a part of the project. “I don’t know where that rumour has come from. I haven’t even gotten a call for ‘Mogul’, despite the news reports,” she says. ‘Romeo Akbar Walter’ releases on April 5 in UAE cinemas.